Think of Seminyak as Ubud’s glam (and hyper) cousin. The towns have two totally different vibes, with Seminyak the more glitzy and party packed of the two. Laid back beach and pool clubs take over activities for the daytime, and as night falls, guests crowd stunning beach bars like La Plancha to take in the sunset. After dusk, the nightlife scene heats up, with visitors dancing the night away at clubs like Omnia, after dining at hotspots like Ku De Ta. So, what should you do when you visit Seminyak? Here’s our list of the 8 things you can’t miss while you’re in town. 1. 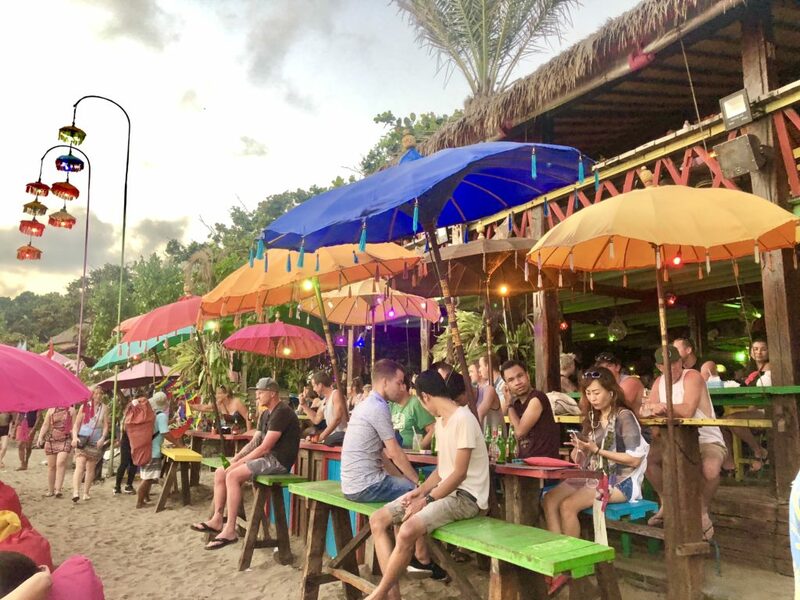 Take in the Sunset at La Plancha: This was one of the most breathtaking places we’ve ever watched a sunset, so it made sense that as we asked around for the best places to go in Seminyak, this beach bar was at the top of everyone’s lists. The oceanfront hotspot sits just steps away from the shore and is stacked with vibrant-colored bean bags topped with colorful umbrellas. Guests take a seat, sip mojitos, smoke shishka, and kick back as the sun fades and splashes an array of colors across the sky. FAB Tip: Get there as early as possible. Seating fills up as it gets closer to sunset, so head there at least an hour and a half beforehand to get a great seat and enjoy the sights and sounds. Also, don’t count out the vendors who come by to sell you things. We got the best deals from the vendors wandering around La Plancha during our whole trip. Make sure to bargain to get the best price. 2. Indulge in the Grub: We loved the food in Seminyak, but when it comes to dishes that we’ll never forget, there were four things that we’ll crave forever: the shrimp and chips at Sambal Shrimp, the grilled halloumi at Sisterfields, the chargrilled flatbread at Ku De Ta, and the Berry Tropical customizable (we put D Fab on ours) smoothie bowl at Kynd Community. SO good. 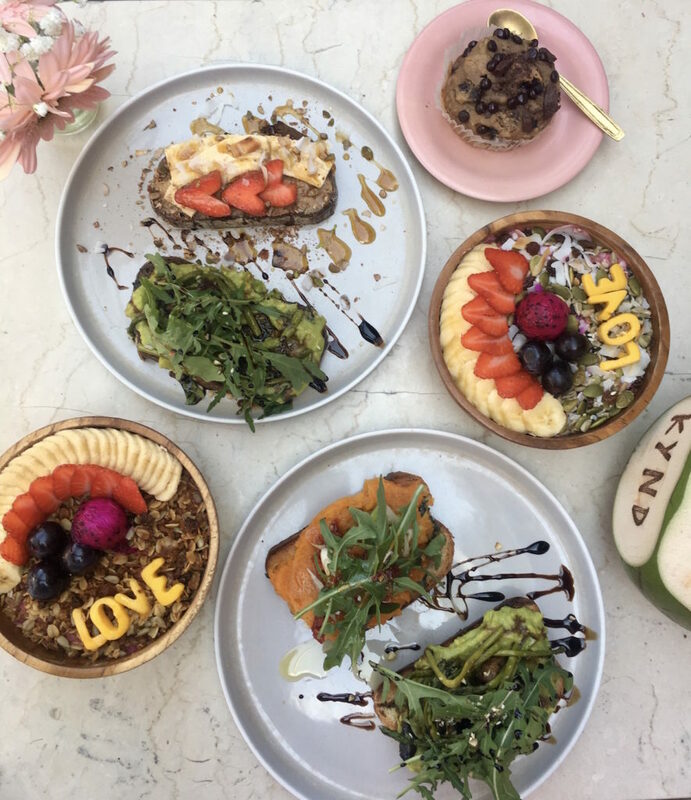 Don’t miss those – and more delicious dishes at restaurants we loved in our Seminyak Fab restaurants roundup. 3. 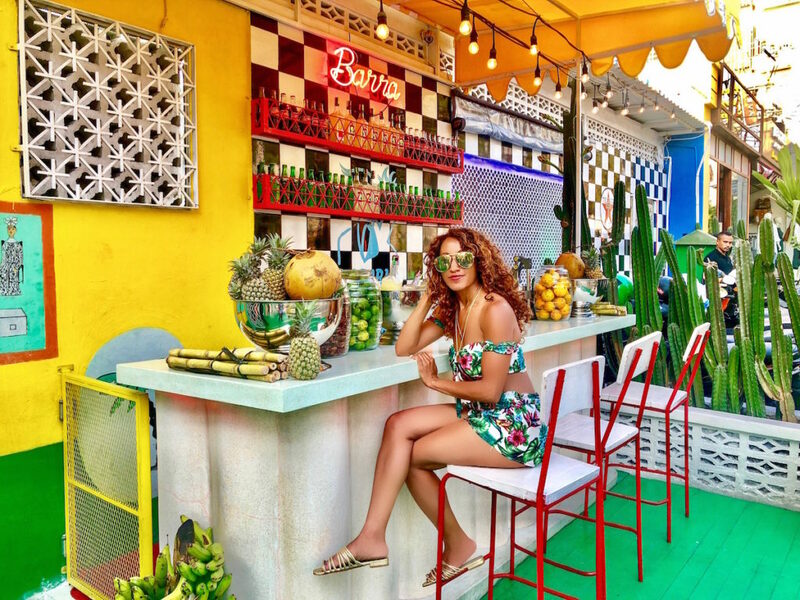 Take advantage of Happy Hours and Bar Specials (and go to Ling Ling’s): There are bars that every guide will tell you not to miss, like the personality-packed Motel Mexicola and colorful Sea Circus, and we agree. But Ling Ling’s lands at the top of our list as our favorite bar in the city to grab a (really big) cocktail. Although the kitschy dining den doesn’t have a happy hour, they do have drink specials like free frose’ Fridays, frozen cocktails served in half watermelons, and games you can play to win free drinks. 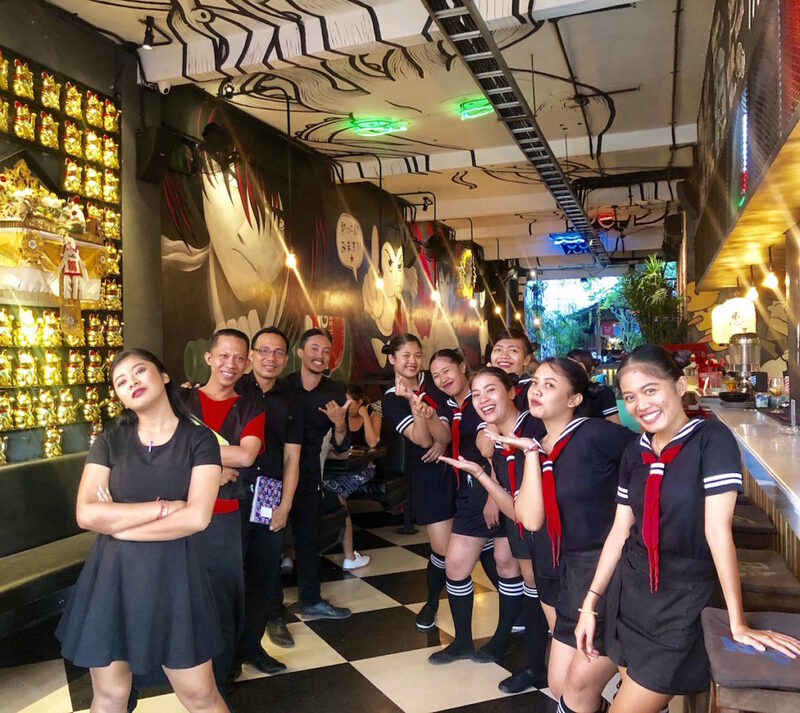 The atmosphere is so much fun, the food is good (get the Japanese Karaage – Japanese fried chicken – and thank us later), and waitresses drop off complimentary popcorn at tables as soon as you sit down. As a bonus, when you finish your meal and/or drinks, a waitress will bring over roses for each woman at the table. 4. 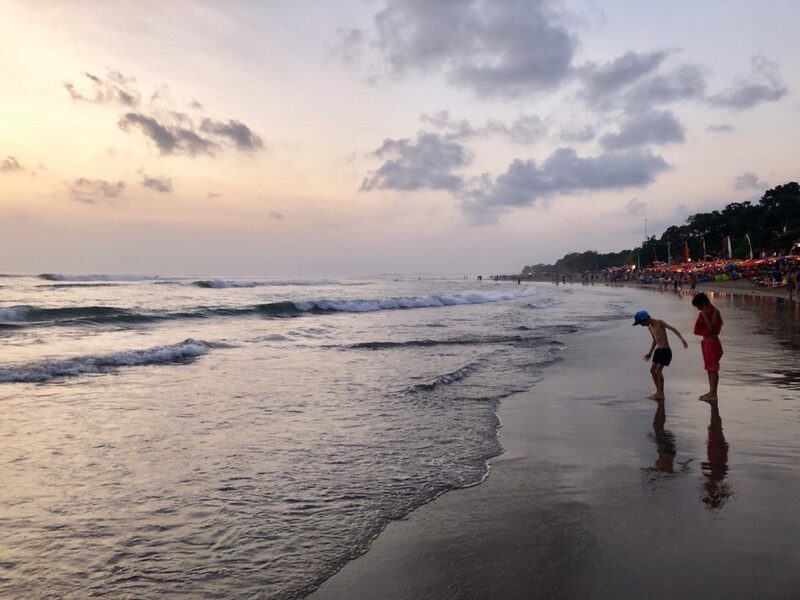 Party the Night Away: Aside from hanging out at bars at night, Seminyak visitors hit the nightclub scene after long days at pool and beach clubs. Mirror Lounge and Club is one of the hotspots, with guests crowding the space to dance to DJs’ sets under a glass roof, as neon strobe lights swivel around the room and reflect off of colorful mosaic glass windows. JOIN US! WE PARTY FOR 5 DAYS ON 5th BDAY of La Favela! 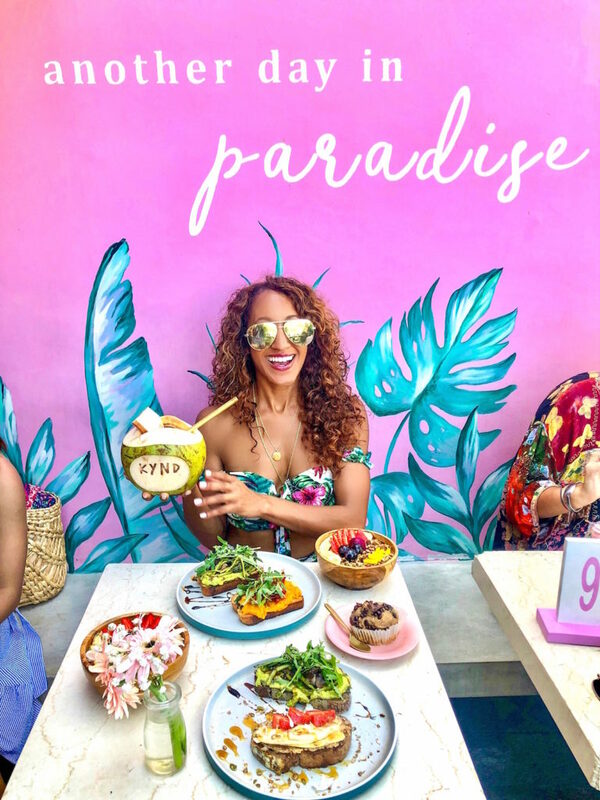 If you’re looking for more of a hip hop vibe, head to La Favela, which pumps out hip hop music and even comes complete with a Tupac & Notorious B.I.G. wall mural. It also has a feel of a house party, thanks to the retro furniture and numerous plants scattered around the space. 5. Spend the Day at a Pool or Beach Club: Take a dive off a 16-foot diving board at Mrs. Sippy’s, take in the sunset in Potato Head Beach Club’s infinity pool, or kick back on a daybed at Finn’s Beach Club with cocktails. Whatever you do – do not miss the pool and beach clubs that Seminyak is famous for. As a heads up, you won’t find a wild party atmosphere at Seminyak’s pool and beach clubs. Instead, visitors lounge on daybeds with bites, bob their heads to house music, and hang out in the pool with cocktails. Still, we loved every minute of it. 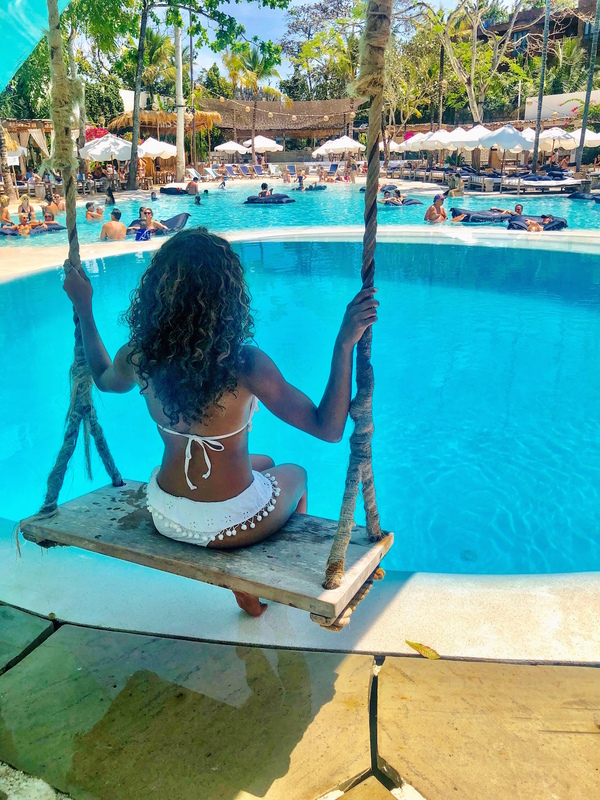 Get the full rundown on the five beach and pool clubs you can’t miss right here. 6. 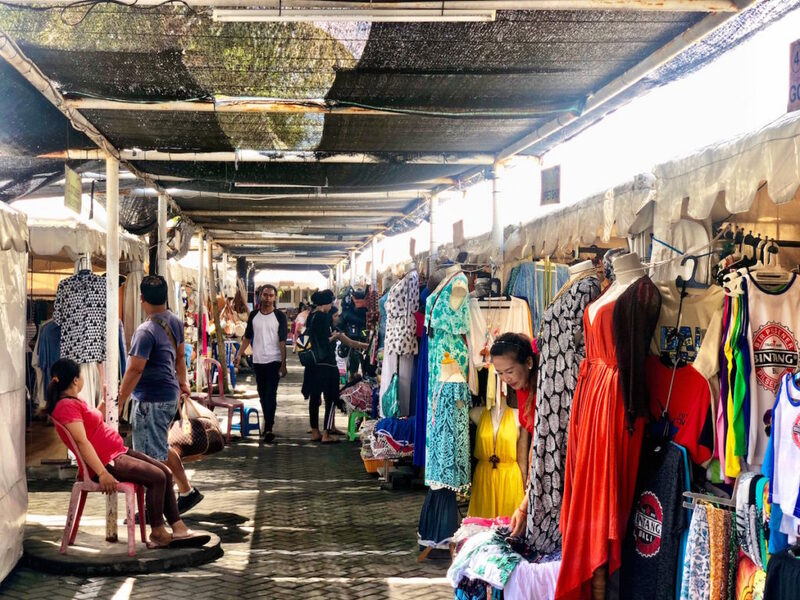 Shop at Seminyak Flea Market: Whether you’re looking for souvenirs, sarongs, or a cute woven purse, take a trip to this market – the main and biggest market during the day in town. When you get there, make sure to bargain. Ask the vendors for their price, and then start bargaining by offering half of that. There were a few tough sellers at the market who wouldn’t go lower than their price, but most will crack and give you close to what you want. Stay firm and be okay with walking away if they won’t. You can usually find what you want elsewhere. 7. Take a Day Trip to Uluwatu: If you have an extra day in your trip, head to Uluwatu and spend the day there. 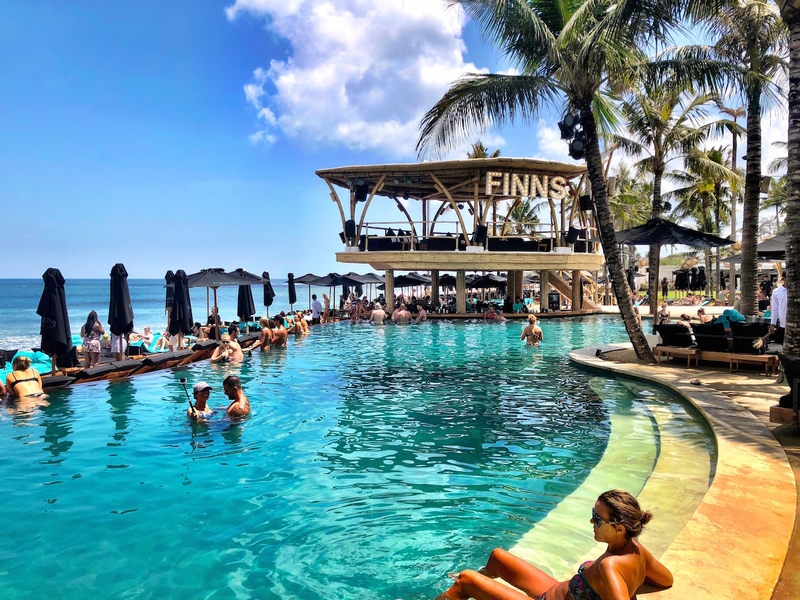 It’s about 40 minutes outside of Seminyak and home to the brand new Omnia dayclub (it just opened in the spring) and the famed The Edge @ One Eighty pool club. Both are perched on top of cliffs and have incredible views of the ocean. The Edge has a glass bottom pool with views of the ocean below, and Omnia juts out above the ocean on a 100-meter plateau. If you have time before sunset, go enjoy a bonfire and s’mores on the beach at Sunday’s Beach Club. Make sure to make reservations at all three ahead of time to guarantee daybeds. 8. Get Massages (every day if you want): One of the things you’ll find about Bali is that you can indulge in massages and more spa services for cheap. Seminyak is a little more pricey than Ubud, but still way less costly compared to spa services in the States. Head to Bodyworks or Amo Day Spa for a 1-hour massage that costs less than $30.